The assembly elections in Gujarat are expected by December, and the Elections Commission is touring the state on Monday to check the preparedness. It is Prime Minister Narendra Modi’s home state, and he is not going to take it easy. He has made two weekend trips in the past one month, setting the stage for fight. From the opposition, Congress vice president Rahul Gandhi too has made two visits – the second started on Monday. Gujarat has been a two-party state for long, and unlike the last three occasions when Modi won hands down, the opposition is likely to be led by Rahul Gandhi this time, and not his mother, Sonia Gandhi. How would the Modi-Rahul bout play out? Among several advantages on Modi’s side, there’s a less appreciated one, and that’s the organisational strength. Few know that Modi figured as ‘page pramukh’ in a meticulously prepared list of the BJP’s members across Gujarat. This rather innocuous piece of information was hardly newsworthy for the media driven by crazy sensationalism. But this news has significant bearing on the state’s politics. Let us first know what “page pramukh” stands for. Over the years, the BJP in Gujarat has broken down the electorate’s composition to a miniscule level. It means that every page comprising a list of 25-odd voters would be thoroughly monitored. And it will have a ‘pramukh’ whose job is to reach out to those voters, irrespective of their pronounced political proclivity, and persuade them to vote for the BJP. Given that the PM has a busy schedule, it is doubtful if Modi would have the bandwidth and time to fulfill his duties as page pramukh. But there is no doubt that he steadfastly discharged his responsibilities till he served as the chief minister of the state. He held booth meetings to mobilise voters. 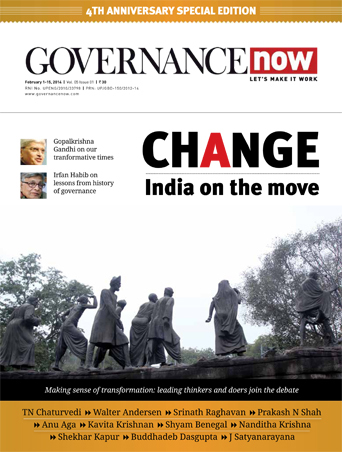 Perhaps nothing explains the political magic that Modi weaved in the state since 2001 more than the micro-level deepening of the organisational structure in Gujarat. 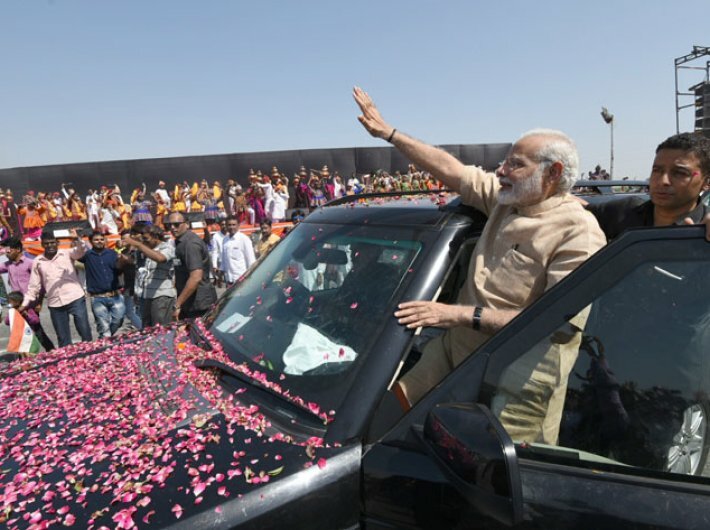 Modi’s successful two-day tour to Gujarat when the state is bracing up for the assembly polls must be seen in this context. Despite sporadic incidents of violent protests by Patidars led by Hardik Patel and his ilk and in the midst of a virulent viral campaign of “development has gone crazy” in social media, Modi does not seem to be losing his charm. Far from it, he is seen forging a rainbow social coalition dominated by the disadvantaged sections with the exception of Muslims. Historically, Gujarat was relatively a politically calm state till the 1970s. The ruling elite comprising Brahmin-Bania-Patel, though numerically in minority, had exercised a vice-like grip on the state apparatus till emergence of Indira Gandhi as charismatic leader who coined the ‘garibi hatao’ slogan and mobilised the marginaliased and social underdogs to challenge the well-entrenched elite representing “minority”. In his exhaustive study of Indian politics, “Democracy and Discontent”, scholar Atul Kohli devoted a chapter to Gujarat and pointed out that despite Indira Gandhi’s own charm, the Congress organisationally got so weakened that it lost its strength to fight streets battles. At the same time, the elites led by Patidars upset by displacement by Kshatriyas as the new ruling elite under the dispensation of Madhavsinh Solanki triggered large scale violence to attain their political objectives. 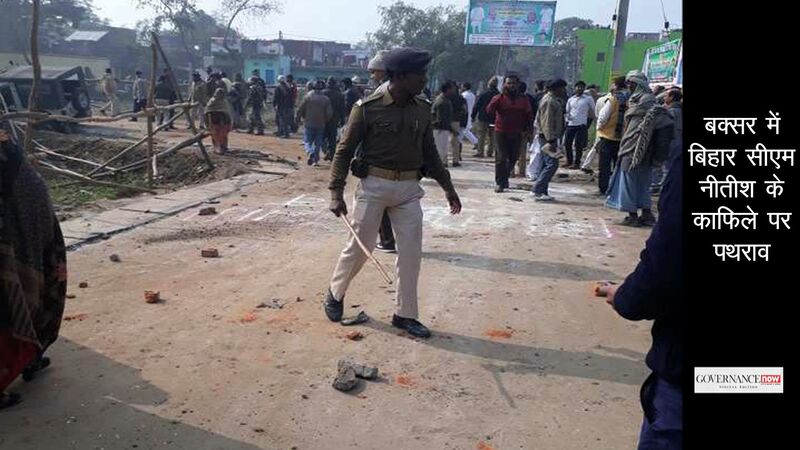 Given the background of a long spell of riots in the state – intermittently from 1981 to 1985, violence seemed to have been internalised in the state’s politics to pursue political objectives. Solanki was removed after six-month-long riots in 1985. Significantly, the organisational machinery of the Congress was far too ill-equipped to contain the situation. Contrast this with Modi, and one would realise that his emphasis on building a robust political organisation within the state was meant to neutralise the possibility of a political feud spilling out on streets. Like Indira Gandhi, he also upended the well-entrenched elites and mobilised OBCs and Dalits to the BJP’s fold that caused heartburns. But his organisation on the ground level was quite agile and responsive to counter the threat of violence in the post-Godhra riot phase of his chief ministership. This has uniquely enhanced his capacity to rebuild social coalitions from the scratch and build a formidable support base on his own. Now look how social coalitions in Gujarat are getting rearranged prior to the polls. With Shankarsinh Vaghela parting his way from the Congress, the party has lost a sizeable chunk of Kshatriya social base which is the most formidable social group in Gujarat. In numerical terms, this section comprising upper caste and lower caste Kshatriyas is the most dominant social group which traditionally stood the Congress in good stead. In the recent past, Vaghela was the only leader who articulated the political angst of this section. Though the Congress leadership can claim to have some regional satraps like Bharatsinh Solanki as Kshatriya leader in its fold, most of them are non-entities compared to Vaghela. Hence Vaghela’s falling out of the Congress’s fold is hardly a good omen for the party. It, however, could take solace in the fact that a significant section of Patels and Banias, a traditional support base of the BJP, is showing signs of alienation from the ruling party. But is the Congress organisationally prepared to take advantage of this drift and anti-incumbency that accrued against the BJP over nearly two decades? Apparently, during his recent state visit, Rahul Gandhi except for mouthing rhetoric and practising symbolic politics has done little to revamp the Congress which is organisationally thoroughly disarrayed and confused. At the same time, he has singularly failed to weave a narrative that can run counter to Modi’s powerful narrative of “Gujarati pride (Garvi Gujarat)”. Of course, that was why Modi reaffirmed his son-of-soil image by visiting this last weekend his hometown, Vadnagar, intermingling with friends and other local people, and conversing with them in Gujarati. In terms of message, he conveyed a far more powerful imagery for Gujarat than Rahul Gandhi or other adversaries. If this state assembly election turns out to be Modi versus Rahul, the results would predictably be in favour of the BJP without doubt. Rahul Gandhi will do well to understand that rhetoric and nicely formulated narrative are no substitute to a powerful political organisation which is the Congress is singularly lacking. This article first appeared in FirstPost.com.